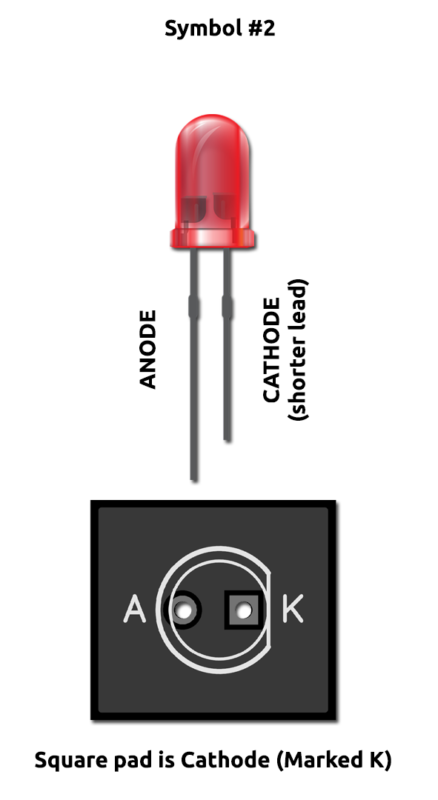 The LED symbol printed onto PedalPCB circuit boards is being updated, please read! 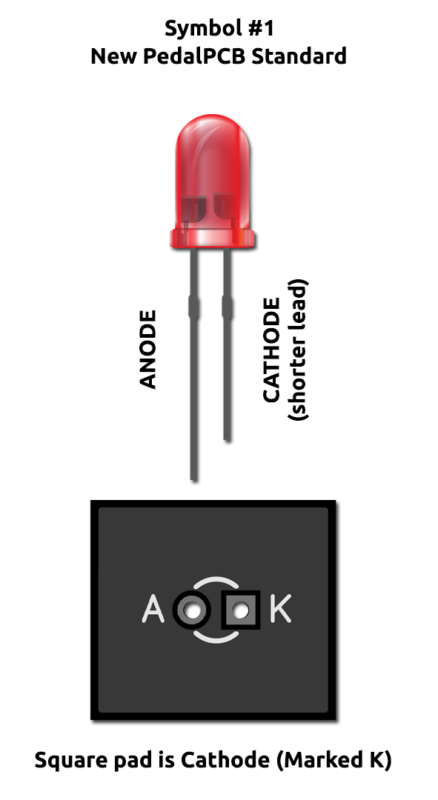 Traditionally the Cathode of a diode is installed into the Square pad of a printed circuit board. Symbol #1 and Symbol #2 conform to this standard. Symbol #3 is technically incorrect by this standard and will be phased out of all future PedalPCB circuit boards. This transition will be progressive as new stock is ordered, so care must be taken to ensure that the correct pinout is identified during this period. 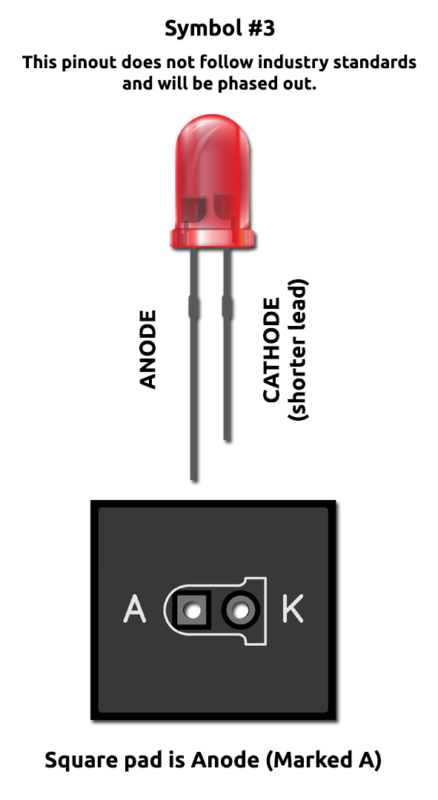 Whenever possible identifiers (A for Anode, K for Cathode) will be printed beside the LED symbol on the PCB for clarification.